i had my first road race of the season last weekend. is it weird that part of me missed the treadmill? that i’m kind of sad about the transition from hamster wheel to lakefront runs? i know. i don’t understand it either. i used to make fun of people that ran. i didn’t think there was an art to it – that it was like the knock off version of a chanel bag to every sport. and coming from a ballet mindset? i felt about running the way i imagine someone like john legend must feel about miley cyrus. listen closely because this rarely happens: i was wrong. last winter, i was in a funk. i just was. there’s no other way about it. every year it seems, i go after something i didn’t think i could do. this year – it was making this place. last year – it was signing up for my first half marathon. i just needed something to work for. and i fell in love. it was something that was mine again. i’d have a rough day at work or a bad date and i could just go and do this thing. i could put one foot in front of the other, push through the pain, challenge myself and at the end, i felt better. i could take whatever was weighing me down and i could leave it on the road. a few half marathons later – i’m heading towards another next month. part of it is because i’m a sucker for medals. what? i never won anything. ok fineeee and the free beer. anywho – i guess i’m just glad for that tiny little voice in my head that told me i should start running. i hope you have those moments too and you act on them. this is a great pre-race/long run meal. 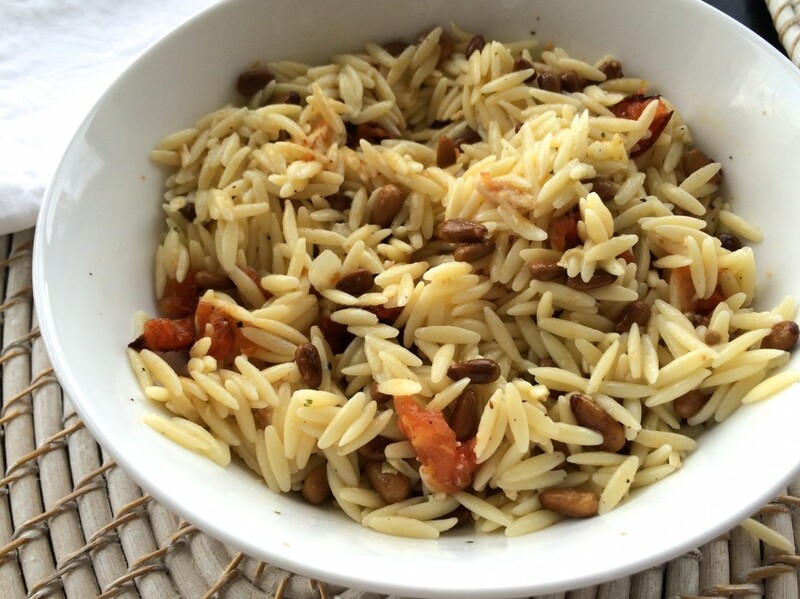 lemon orzo with toasted pine nuts. as always, add the chicken for extra protein or skip it and and add cheese if that’s what you fancy. this was adapted from my friend kelby’s recipe. 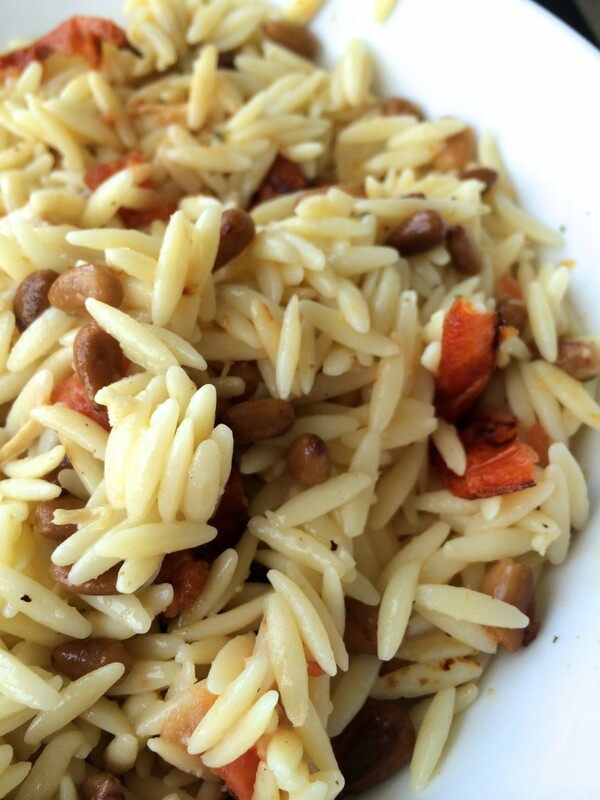 the toasted pine nuts are everything in this. chicken is optional, pictured without but delicious with! 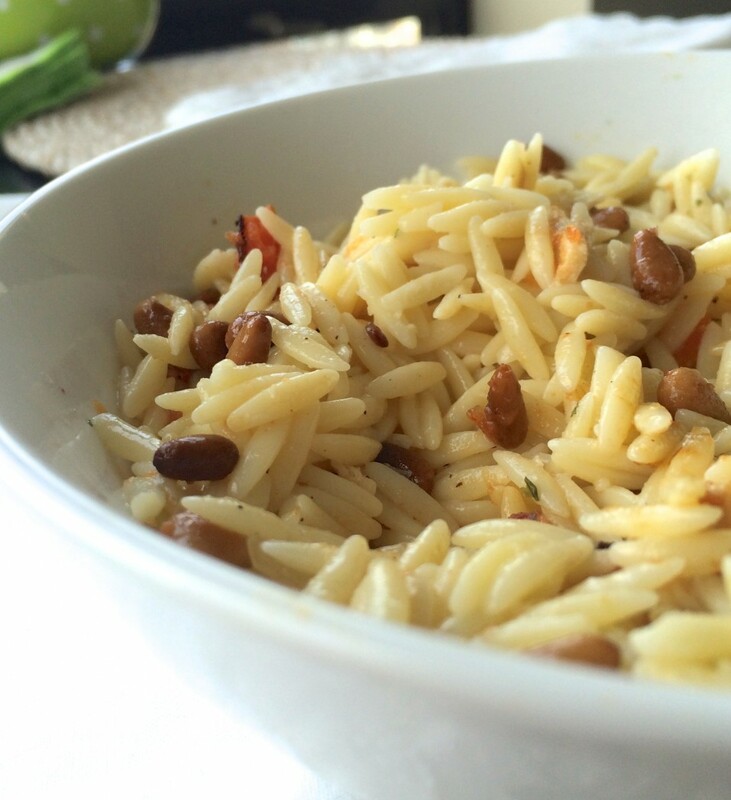 in sauce pan, bring water to boil and cook orzo. slice tomatoes and place on pan in oven. cook for about 25 minutes. in a sauce pan, saute garlic, 1 tbl onion, butter and olive oil for about 3 minutes. transfer to bowl, add lemon, salt and pepper. once chicken and tomatoes are done, remove from oven and adjust temp to 350.
add toasted pine nuts, cook for 5-7 minutes. chop chicken and tomatoes, add to onion mixture. 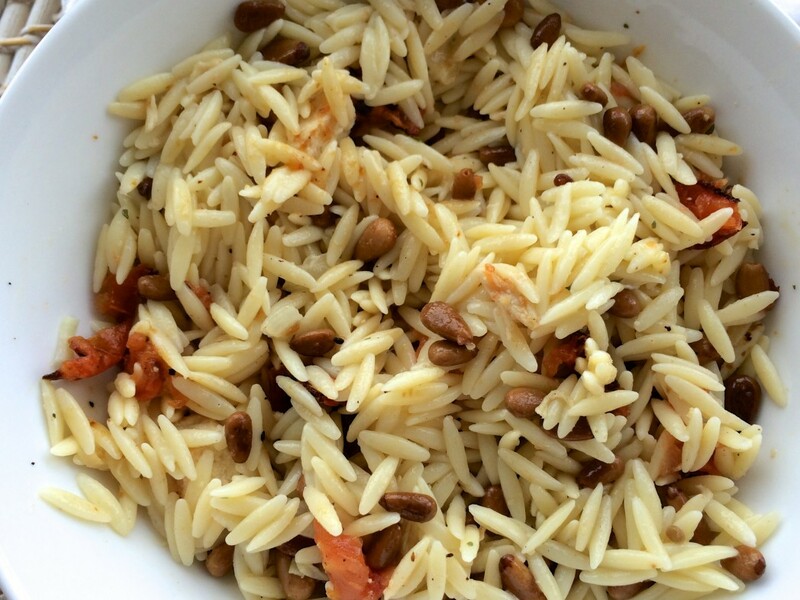 combine everything into one bowl, top with additional lemon, salt and pepper to taste.